Civil defence authorities in New Zealand ordered the evacuation of some coastal areas early on Friday due to fears that an offshore earthquake could cause a tsunami, although the Pacific Tsunami Warning Centre said it did not see this as a major threat. The U.S. Geological Survey is reporting a magnitude 7.1 earthquake about 160 kilometres off the east coast of New Zealand’s North Island. New Zealand’s Ministry of Civil Defence and Emergency Management has issued a tsunami potential threat advisory and urged people to stay away from beaches and the shore. “Tsunami activity will continue for several hours and the threat must be regarded as real until this warning is cancelled,” the ministry said. People in North Island reported on Twitter being woken by shaking and local media said there were some power outages. 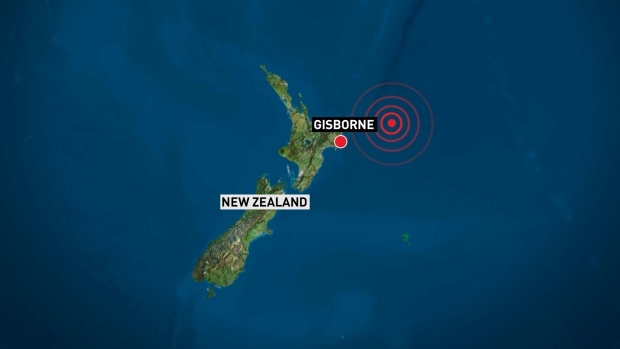 People living on the coast near the town of Gisborne, the area nearest the quake’s epicentre, were told to evacuate and get to higher ground or go as far inland as they could. There are no immediate reports of damage or injuries. The quake registered 167 kilometres off the North Island coast in the South Pacific Ocean. The quake comes a day after a magnitude 5.7 quake registered in the same area, 100 kilometres northeast of Te Araroa on the North Island’s east coast. Editor’s Note: 8 fairly large after shocks have since followed the 7.1 quake so far. Lowest of the aftershocks being magnitude 5.3 and highest 5.7M so far.